A few weeks back I won one of Tangle Teezers Twitter comps and my prize was one of their original Tangle Teezers. If I remember correctly the question they asked was something along the lines of 'If your boyfriend was Superman what would you ask him to do?'. My response was that I'd ask him to put his pants on under his tights as that's really not a good look! My Tangle Teezer is actually more of a hot pink colour but my camera has bleached it out to a kind of baby pink. There are a couple of different designs of Tangle Teezer available including ones that come in a flower pot for kids, mini ones that include a cover for the bristles and non-slip ones for using in the shower. 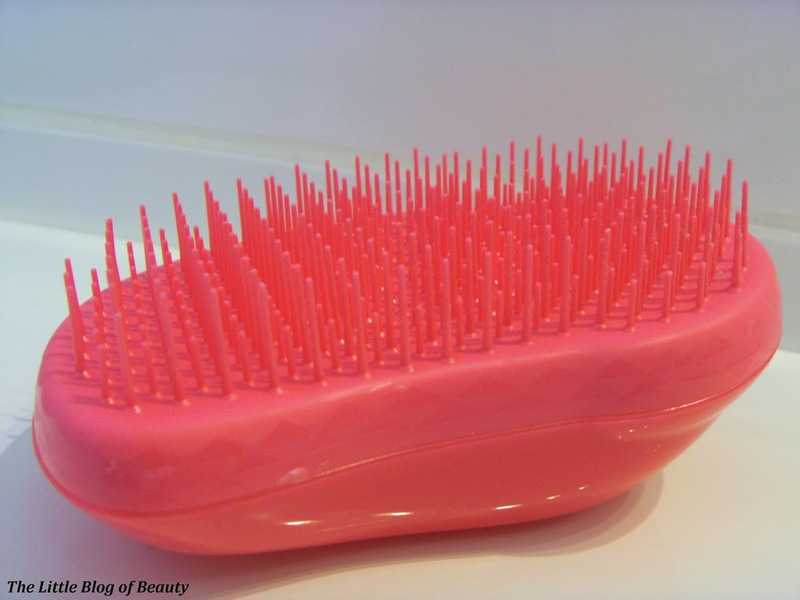 I've never actually given a lot of thought to what I use to brush my hair although many years ago I did switch from using a brush to using a comb as I thought this was a bit kinder to my hair. Back when I had really long hair this would have been a life saver for me. I'm not quite sure how it managed it but I would often find a huge ball of knotted hair at the nape of my neck underneath my hair. It would take ages to brush out and a couple of times I seriously thought I might have to give myself an undercut and just chop the knotted bit out. Three and a half years ago I went for the chop to shoulder length hair and ever since knotting hasn't really been a problem, but obviously I do want to make sure that my hair endures minimum damage when I do brush or comb it. As I don't really have any problems with knotting I can't comment on how this copes with it, but it does feel really gentle on my hair when I use it. It's not ideal for getting a straight parting or trying to get my hair into a ponytail, due to the size and shape of it, but for just brushing my hair it's great. The best test for this will be when it comes to back-combing. Although I don't back-comb my hair myself, two of the shoots I worked on last year involved the hair stylist back-combing my hair to within an inch of it's life. It was a nightmare to brush out and I remember thinking at the time that I wished I had a Tangle Teezer to try and deal with it! Tangle Teezers range from £10.20 to £12.98 and are available from the Tangle Teezer website. 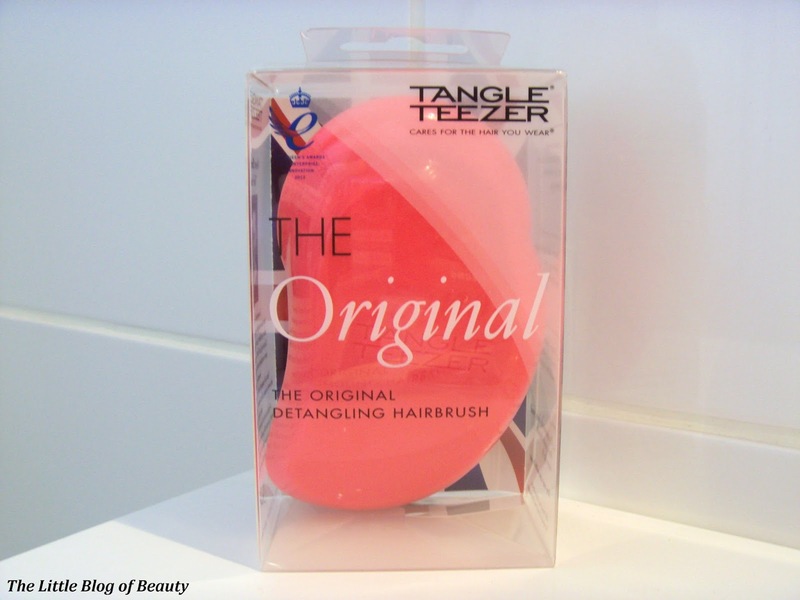 Have you tried a Tangle Teezer? I bought a tangle teezer as my hair was getting longer and knotting was a problem. Although it is fantastic on wet hair, I've found it can be awkward to use of dry hair and it can be a pain if you're trying to tie your hair up! I've found it's better as an added addition to your normal hairbrush as opposed to an alternative. I really need one of these in my life! So many people have raved about them...its going on my ever growing wishlist for payday! !